Associate Justice Few will be speaking about social justice – a concept of fair and just relations between the individual and society. Few was sworn in on February 9, 2016. He is a graduate of Duke University, where he served as the athletic mascot, and the University of South Carolina School of Law. 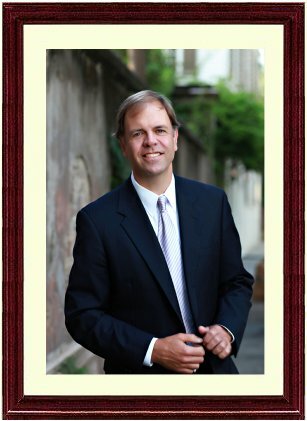 John C. Few was born in Anderson, SC on April 9, 1963, the son of J. Kendall Few of Greenville, and Belva Beasley Few of Greenwood. He grew up in Greenwood, SC and graduated from Greenwood High School in 1981. He attended college at Duke University, where he served as Duke’s athletic mascot, the Blue Devil, during his junior year. John graduated from Duke in 1985 with a Bachelor of Arts degree in English and Economics. John began his legal career as law clerk to The Honorable G. Ross Anderson, Jr., United States District Judge. He practiced law in Greenville from 1989 until 2000, and is admitted to practice in South Carolina, the United States District Court for the District of South Carolina, the United States Court of Appeals for the Fourth Circuit, and the United States Supreme Court. John served as a trial judge on the Circuit Court of South Carolina for almost ten years beginning July 1, 2000. On February 3, 2010, Judge Few became the Chief Judge of the South Carolina Court of Appeals. John is a Fellow in Liberty Fellowship. He completed the Diversity Leaders Initiative through The Riley Institute at Furman University in 2010. In December 2012, the Charleston School of Law awarded him the degree Doctor of Laws, honoris causa.